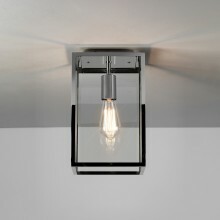 This contemporary wall light from First Choice Lighting is rectangular in shape with three glass sides. The fitting is offered in a polished nickel finish with clear glass forming the three visible sides that surround the bulb which could be energy saving as required. An IP44 rated fixture, this exterior lamp is suitable for outdoor use and will give your house a modern & imposing feel. 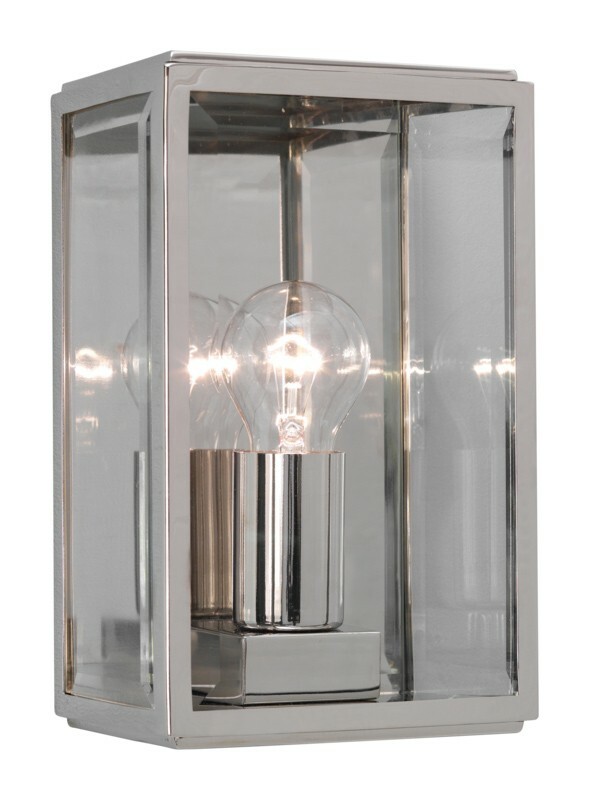 The lamp will shine brightly through the three glass sides and will reflect off the polished nickel finish to add an extra dimension of sparkle to your garden.